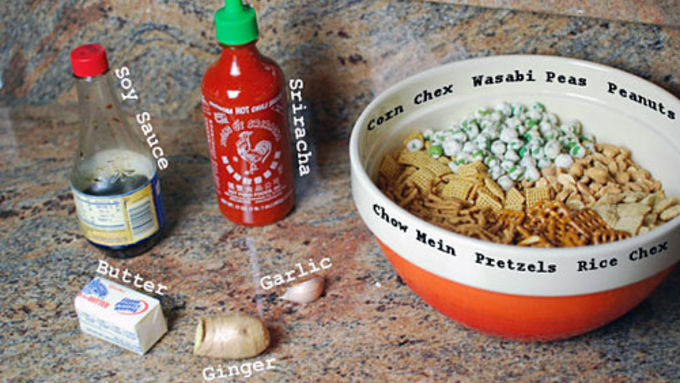 Mix the Corn Chex, Rice Chex, pretzels, wasabi peas, peanuts, and chow mein noodles together. Mix all the liquid ingredients together. Grate the ginger and garlic in. Microwave to melt butter and warm the mixture. 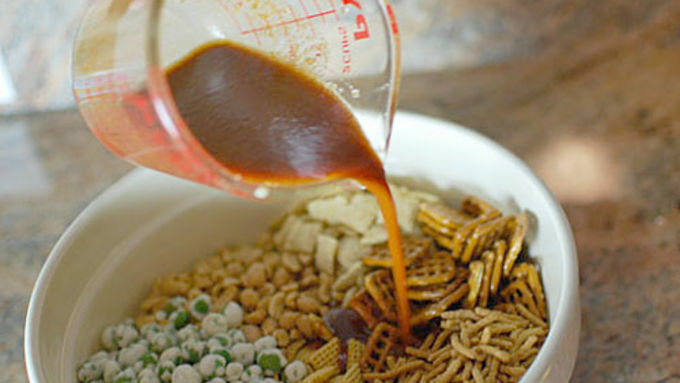 Pour the sauce over the cereal mixture and toss to evenly coat. Bake at 250°F for an hour, stirring every 15 minutes or so until crunchy and flavorful. 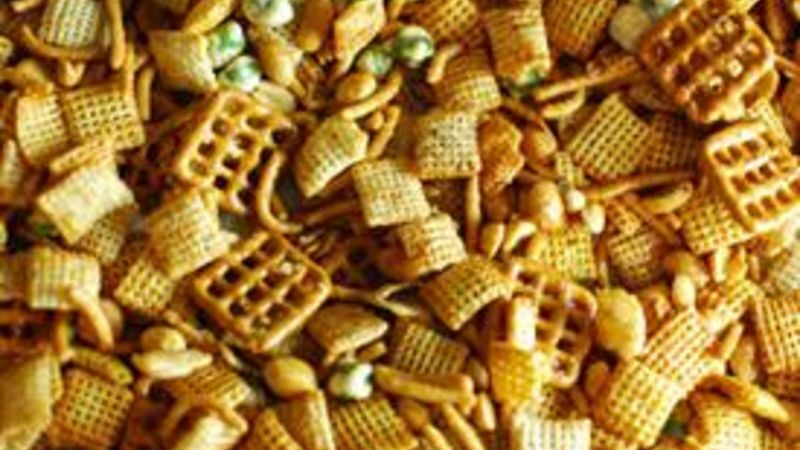 Until I realized you don’t have to follow the recipe, I was never really the biggest fan of Chex mix. Once I started to experiment a bit and put some different flavors and ingredients into the mix, I started to like it a lot more. And that’s how I came up with a sriracha-based Chex Mix with soy sauce, fresh ginger and garlic, and some chow mein noodles and wasabi peas mixed right in. It’s a truly addictive version of the classic! 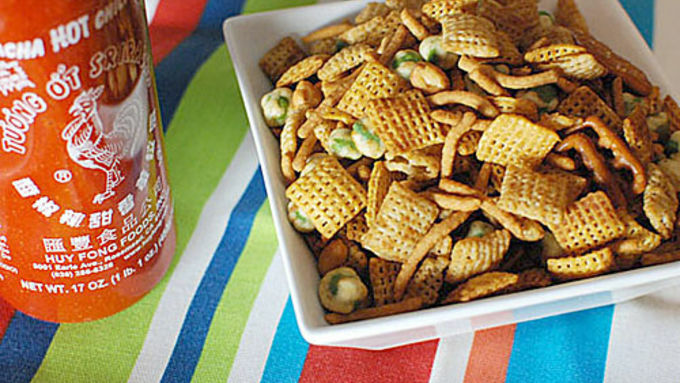 Wasabi peas and chow mein noodles give the snack mix a bit more Asian flair. You could use garlic and ginger powders, but I prefer the kick from the real stuff. 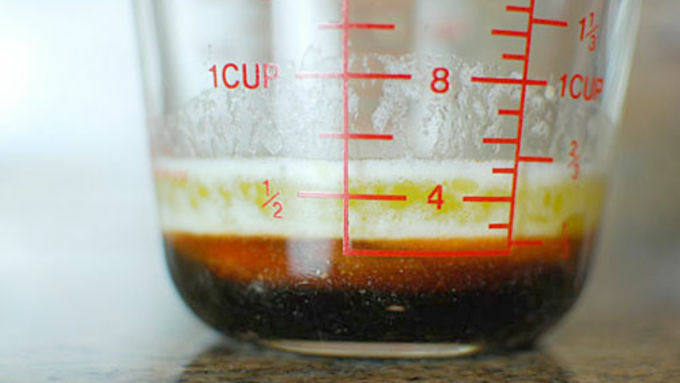 Use a microplane zester to turn it into a paste and mix it into the sauce. Salty and spicy, with just enough heat. Everything you want in a snack!